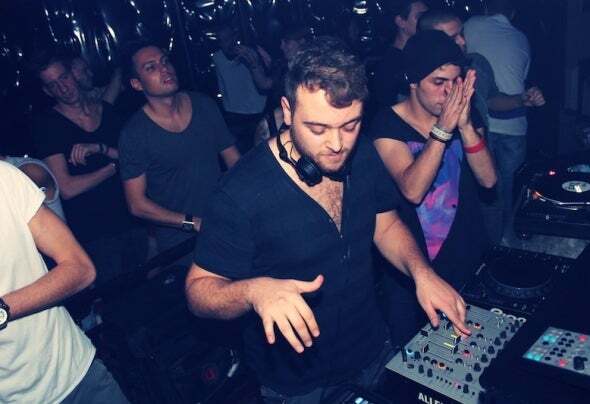 Andrea Auteri, aka Andrew Kay, born in 1992, is a DJ and producer of north Italy. In 2005 meets for the first time the electronic music, which thanks to a CD given to him. He decides to pursue this course and at 18th he starts his career as a DJ with his friend Michele Torre founding the "Noiseplayers" .In 2010 they become part of the group "ElectroFactory team,"starting to play in a local disco, the Juice Club of Bergamo, to which devotes time and attention. Exactly two years later the "Noiseplayers" produce their first track, "Yo Man", supporting the local label, the Juice Recordings. People really loved it and they had success in Bergamo.In 2012, however, the two friends decided to disband. After the breakup of the "Noyseplayers" Andrea started his first productions alone, releasing his first EP "Dream Of Revolution" with a label in Milan, Traxacid.According to him, music raises the spirit and frees the nervous tension even though becoming inevitable in his daily routine. Today he continues his career working in Lombardy with the ElectroFactory.